This month’s charcutepalooza challenge was to “stretch” both by extending the number of servings we can get from an ingredient, and by adopting techniques that allow us to lengthen the time that food can remain safe to eat. 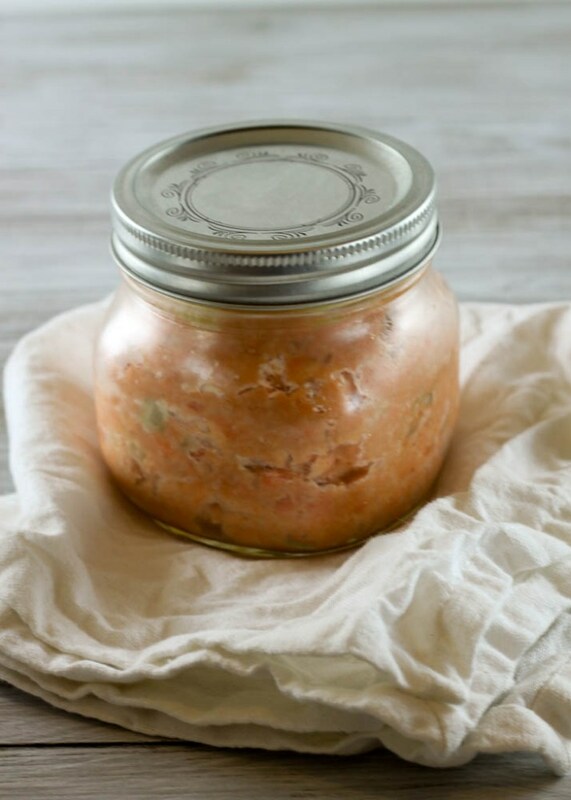 This month I wanted to make a something a little bit lighter and healthier, so I chose to make salmon rillettes. Rillettes are similar to pates, and are made by cooking bits of meat in fat. Rillettes made from fish deviate a bit from this preparation. The recipe I used asks to steam the fish instead, but I don’t see why you couldn’t poach it in butter if you were so inclined. You do add butter to the mixture later in the process, so I guess that makes up for not poaching the fish in butter. 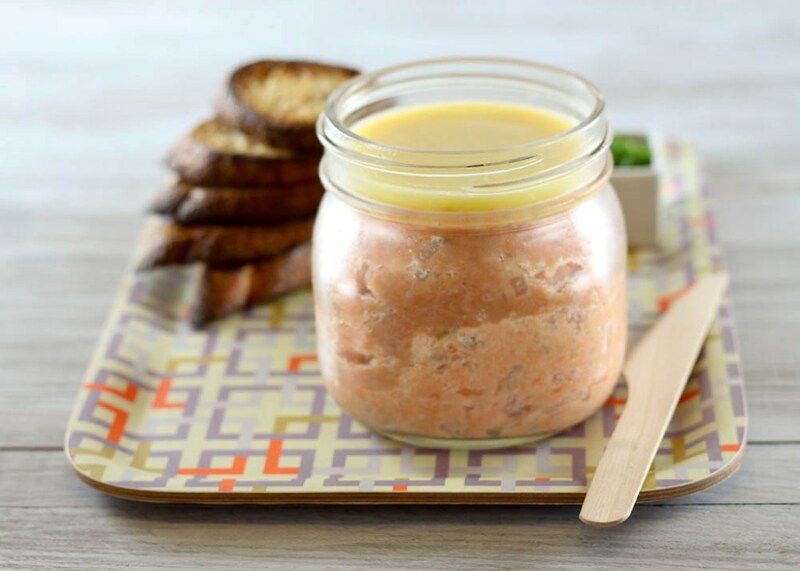 You get salmon rillettes that are creamy, spreadable, and unctuous in your mouth. 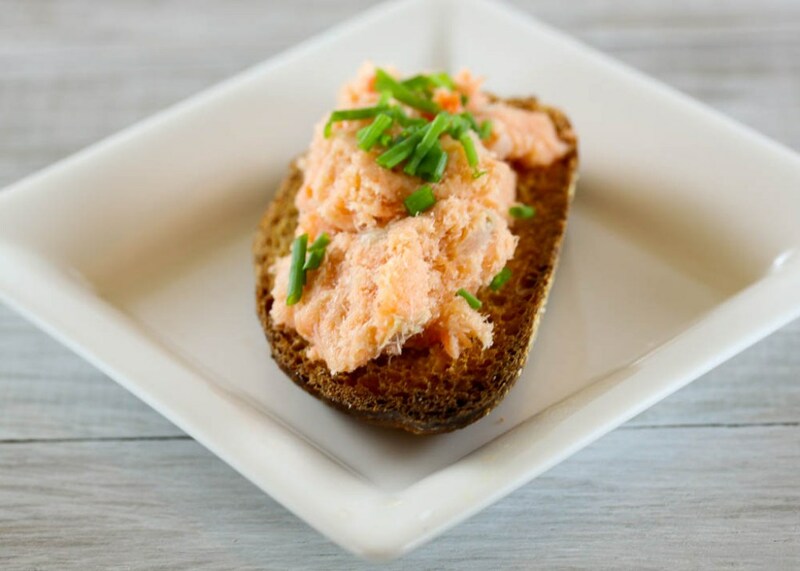 The addition of smoked salmon adds complexity to the fresh poached salmon. 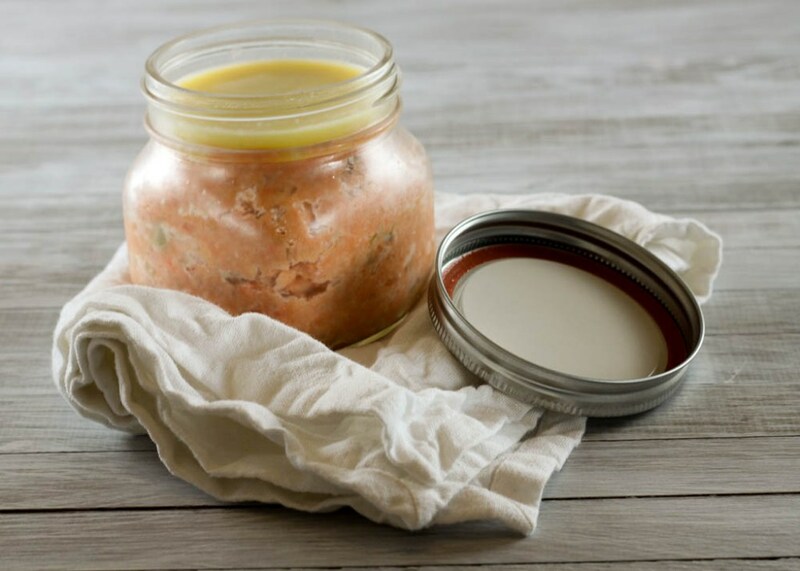 These rillettes have a concentrated salmon flavor. The crunch of a crisp crostino perfectly complements the rich spread. 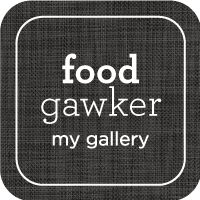 They make a fancy and flavorful appetizer. You can make this a week in advance. The holidays are coming up, and I think this would be the perfect thing to bring to a party, or as a hostess gift. Prev Happy World Egg Day! If I make it outside today, I’ll pick up a bottle of Pernod. Thanks, Cecilia! Really pretty! Love the photos. I’ve been in a seafood mood recently and your post gave me serious charcutepalooza-envy. Looks delish! Good for you for going the lighter, healthier route. My excuse it that I don’t like salmon 😉 Seriously though yours is absolutely gorgeous! salmon. love. this looks so luxurious. Annapet–I think you are right, I think he said that about this recipe on the “Best Thing I Ever Ate” show. Naomi–Thanks! You should try them, they are so easy to make. Mardi–Thank you! I’m probably fooling myself, since there is more than a bit of butter in there, LOL! Olga–Thanks! I wish I could share with you, I think you would love them! These sound so good, terribly moreish & perfect as a wee gift. Thanks Mairi, they were delicious!